After our work with artist Martin Creed on the 2012 interiors at Sketch restaurant, we were thrilled to be invited back to work on their latest transformation. Working with Martin Creed seemed hard to beat but with the line-up this year bringing in work from artist David Shrigley and architect and interior designer India Mahdavi and fashion designer Richard Nicoll the effect, although dramatically different, was equally magical. 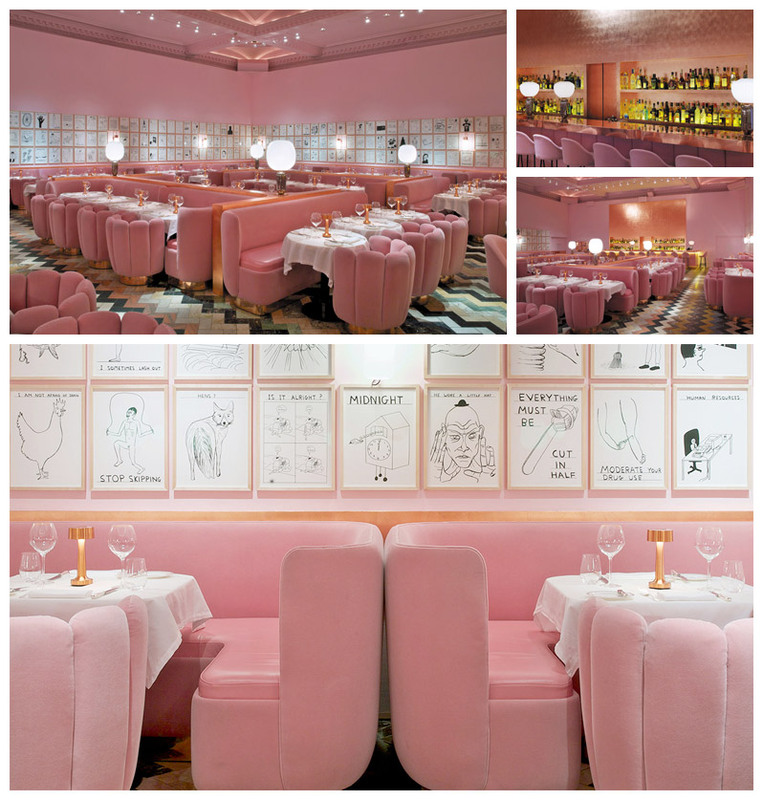 This monochromatic pink interior conceived by India Mahdavi creates a backdrop for the personal drawings of David Shrigley that line the walls. We were asked to complete all the joinery for the curvaceous dining room furniture and as copper was the chosen finish, we sourced and manufactured all the copper fitments throughout, including the beautiful and dramatic 14m long bar. The scheme had a more minimalist approach but with an exacting level of detail. We are extremely proud of the effect and the knowledge that the detail and craftsmanship put into our work was integral to the creation of the artistic vision for the space. Images courtesy of David Shrigley.